The U.S. Supreme Court is considering whether immigrants faced with deportation who have been detained longterm are entitled to bail hearings. 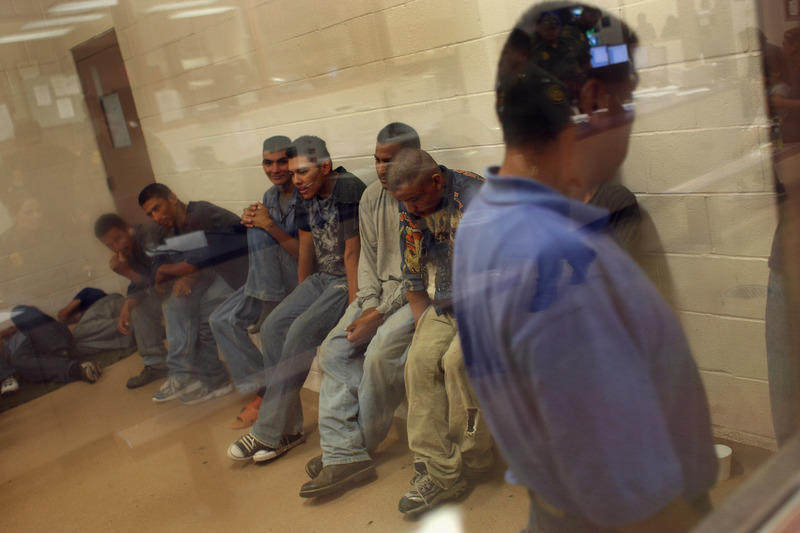 But what does this Supreme Court case consider longterm detention? In this case, "longterm" refers to the detainment of immigrants who have been held for six or more months. Some immigrants are detained for well over a year — something that Supreme Court justices like Sonia Sotomayor believes is entirely unacceptable. And she's right. The suit was originally filed in 2010 by the American Civil Liberties Union, which brought a class-action lawsuit against a federal government department, Immigrations and Customs Enforcement. The ACLU filed the suit on behalf of approximately 1,000 immigrants in California, who had been detained longterm for either entering the country illegally or for committing crime(s). The non-profit organization argued that immigrants who establish that they will attend court hearings and don't pose a public threat should have the right to a bail hearing. "We're not talking about the rules for how long you can detain someone; we're talking about how long you can detain somebody without a hearing," Ahilan Arulanantham, the lawyer representing the 1,000 immigrants, told NPR. The Sixth Amendment guarantees a right to a speedy trial — and before anyone points out that these immigrants aren't U.S. citizens, the Fourteenth Amendment guarantees the constitutional rights of non-citizens as well. The suit's lead plaintiff is Alejandro Rodriguez, who was brought to the United States as an infant and eventually became a permanent resident. In 2003, he was arrested for drug possession and joyriding, which led to more than three years of detention, and a seven year appeals process, CNN reported. While some immigrants are ostensibly deported for being a risk to the public, the crimes that constitute deportable offenses range widely, from domestic violence to failure to register a change of address. It seems like a violation of the Sixth Amendment that Rodriguez was detained for so long without a bail hearing. The outcome of this case will impact thousands of immigrants, both longterm U.S. residents and asylum seekers. Approximately 70 percent of asylum seekers gain legal status in the country, as do 40 percent of long-term residents, NPR reported. But in the meantime, detainees live in prison-like conditions while their cases are determined. This process, according to NPR, takes 13 months on average; Acting Solicitor General Ian H. Gershengorn told the Court that 90 percent of cases come to a close in 19 months. "We are in an upended world when we think 14 months or 19 months is a reasonable time to detain a person," Justice Sotomayor responded. Sotomayor has a point. When someone can be imprisoned for failing to register an address change, it's time for the government to make some changes. Starting by actually allowing people to exercise their constitutional rights.